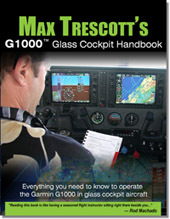 Max Trescott Aviation Trends Aloft: New Air Safety Bill--Good for Passengers, Bad for Future Airline Pilots? New Air Safety Bill--Good for Passengers, Bad for Future Airline Pilots? The House Transportation and Infrastructure Committee reported the passage today of H.R. 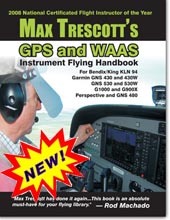 3371, The Airline Safety and Pilot Training Improvement Act of 2009, by a vote of 409-11. According to Committee Chairman Rep. James L. Oberstar (Minn.), “This legislation was developed as a result of the crash of Colgan Air Flight 3407, where 50 people tragically perished outside of Buffalo, New York on February 12, 2009, and subsequent hearings by the Aviation Subcommittee.” When the bill was introduced in March, FAA Administrator Randy Babbitt said the bill "is not necessary" since the agency had already taken steps to address issues raised by the Colgan Air crash. You can read the full text of the bill here. requires all airline pilots, including first officers, to hold an Airline Transport Pilot certificate, which requires pilots to have a minimum of 1,500 flight hours. Currently, a first officer requires only a Commercial Pilot certificate, which can require as few as 190 hours. When the final FAA rule is issued, it may allow some academic college credit to be applied to the 1,500 hours. The bill directs the FAA Administrator to ensure that all Part 121 airline pilots, including regional airlines, have obtained an ATP within 3 years of the passage of the bill. Presumably existing pilots who haven’t attained the ATP certificate within that time will no longer be permitted to fly for the airlines. Establishes an Air Carrier Safety and Pilot Training Task Force that must report to Congress every 180 days on airline progress in implementing best practices and regulations. Establishes New Pilot Training, Screening, Mentoring and Professional Development Standards including revising ATP requirement to include training in air carrier operational environment, adverse weather conditions including icing, high altitude operations, and a multi-pilot crew. Creates a Pilot Records Database to provide airlines with fast, electronic access to a pilot’s comprehensive record. Addresses Issues of Fatigue including directing the FAA to update and implement new pilot flight and duty time rules and fatigue risk management plans. Directs the GAO to study: pilot academic training requirements; pilot education provided by accredited two- and four-year colleges/universities; foreign academic requirements; FAA’s oversight of flight schools; and student loan options available to student pilots. Requires the Department of Transportation to study and report to Congress on if the number and experience level of FAA safety inspectors assigned to regional airlines is commensurate with that of mainline airlines. Requires Internet web sites that sell airline tickets to disclose to the purchaser on the first page of the web site the air carrier that operates each segment of the flight. Good for Passengers, Bad for Future Airline Pilots? My informal survey of pilots about the bill produced mixed reactions. Generally, pilots felt that requiring 1500 hours and an ATP was good for passengers, but would make it harder for aspiring airline pilots to reach their goals. Since many future airline pilots may resort to teaching as flight instructors to build the additional flight hours required, fulltime flight instructors may be negatively impacted. From a future Airline Pilot that will work as a CFI: “That bill is going to hurt me (working on CFI) and hurt general aviation, no money, no financing out there - but long term good." Others were skeptical that simply requiring more hours and an ATP addressed the core safety issues facing regional airlines. “I can understand the desire to make regional pilots have more hours, but I think requiring an ATP might be excessive for a First Officer." Other pilots felt that increasing the requirements may make it difficult to create a pool of qualified pilots for the regional airlines if salaries didn’t also increase. What are your thoughts? Will this bill improve airline safety? Also, what are the likely consequences of the bill? If the new rules drive up the cost to become a First Officer, would the regional airlines consider hiring foreign pilots to keep costs down? Please post your comments below for others to read. Max, first of all - great post. I don't have any aspirations to be a career pilot (I fly simply for pleasure) but my reaction to all this is mixed. There's no arguing that requirements need to be beefed up for some regionals but I don't necessarily think an arbitrary number of hours is how to do that. In my mind, there are two key things: a) the quality of training received and b) the recency and type of experience a pilot has. On top of that are the working conditions, mainly duty/rest hours and scheduling in the airline world. I realize there are still qualified pilots out there (1,500+ ATPs) unemployed by the airline industry due to layoffs in recent years so there is an applicant pool to some extent. On the other hand, there's no way nearly any student graduating from a collegiate flight training program has anywhere near the required hours. Even as an instructor, it's going to take a while to gain 1,000+ hours and will likely have some disruptive affect on CFIs everywhere due to increased competition for a relatively stable pool of students. Ultimately, I just don't see how this helps when you take it as a whole. If they modify it to put more stringent crew rest requirements and training requirements in place, that's good for everyone. And let me be clear that I don't disagree that it would be great if everyone had an ATP. Still, an arbitrary number defined by a Congress that knows little about aviation and pilot training seems like a rather bad way to approach the whole situation. Except for one comment, the biggest missing part in the discussion is airline economics. Yes, we all for safety and given the choice, we all would like to have Captain Sullenberger as PIC of our next airline flight. Unfortunately trade-offs need to be made as safety is not cost free. While there are a lot of things that can increase safety at relatively low cost (for example CRM training for all pilots) – safety also comes with experience. The problem is that we want to have 100% safety while paying for airline fares that match Greyhound Bus fares. Would the flying public be willing to pay say 50% more for a ticket to have a more experienced (and rested) and presumably safer crew? And how will the higher ticket price translate into airline economics – would less people fly resulting in even less total revenue and more losses? It’s the same argument I have heard for years on the low pay for CFI’s. Yes we all agree that CFI’s are underpaid and being a CFI, part of the pay is flight hours; but how many of us would want to pay $100/hr for a CFI? Or $75/hr? The bigger issue is pilot training. While not a criticism, most pilots (unless they go through the military) pay for their own flight training. In countries where there is no effective General Aviation, airlines usually pay for training for “ab initio” pilots following a rather strict and comprehensive syllabus – much like the military. When is the last time US airlines paid for “ab initio” training? While not a big factor anymore, a lot of US airline pilots came from the ranks of military pilots (in fact Capt Sullenberger was an experienced military pilot prior to joining US Airways). The training of course was provided by the tax payers and their service to the country was their pay pack. Nevertheless this means that US airlines never had to budget for “ab initio” training. When Herb Kelleher started Southwest Airlines, he hired just about all the pilots of an USAF squadron that was flying the military version of the 737. While not a criticism of Mr. Kelleher, he would not have been able to do this without the US taxpayers providing him with experienced 737 pilots for his fledging airline. 1. Need to consider trade-offs between safety and economics. 2. The cost of airline pilot training is an externality, needs to be considered more explicitly by the flying public and airlines. Steve, the bill does direct the FAA "to specify limitations on the hours of flight and duty time allowed for pilots to address problems relating to pilot fatigue." No question, an arbitrary number of hours doesn't guarantee more experienced pilots, but it does increase the probability that some of those pilots are more experienced. Luca, you say that part of the "pay" for a CFI is "flight hours" which is true for people who are using a CFI rating as a stepping stone to the airlines. But should it be that way? Does that decrease the quality of flight training (and safety) in some cases for people who have chosen a CFI who's primarily in it just for the hours? No question, the U.S. airlines have been able to avoid paying for “ab initio” training and there's no incentive for them to take on this additional cost; instead their modus operandi has been to shed costs. The bill is a good step, but it doesn't address these issues at all, so expect no change in this area. Honestly, I think requiring an ATP for 121 copilots will decrease the over-all safety of commercial aviation. Part 121 accident rates probably won't change at all. But part 135 and 91 will probably get worse. Why? Because now one of the safest jobs in commercial aviation (being a copilot for a 121 airline) will no longer be an option for less experienced pilots. They'll be forced to build up time working 135 or 91. This will have a two-fold effect: 1) it will make good aviation jobs virtually impossible to get for new pilots, since all the new pilots will be fighting for the few 135/91 jobs that are out there; 2) it'll "force" people to work for 135/91 operators that will not only screw them financially, but will also likely operate aircraft which aren't properly maintained (something we all know occurs *far* too frequently with small 135/91 operators). In effect, requiring an ATP for the airlines will force less experienced pilots to start with the most dangerous jobs. This is just another case of our government trying to appear as if it's solving problems, while only making things worse. While the bill has its good parts, like a lot of people, I just don't see how requiring a pilot to have an ATP is going to make things much better. Flying is already one of the safest ways to travel, and because of one crash, that was largely pilot fatigue related, they want to pass regulation requiring such. Like others all ready mentioned, how are the airlines going to afford this? A pilot with 500 hours is willing to fly for a lot less than a pilot with 1500 hours, and not only that, where are they going to get these pilots? I was recently talking to a pilot recruiter with ASA and he said that when the economy turns around, the minimums are going to be around 1500 hours, however, that's only going to last about six months until they bring back all the furloughed pilots, and then the minimums will continue to drop. There is no way that regional airlines are going to be able to keep up with the demand for pilots at the rate they will be retiring. The age 65 rule only delayed the inevitable, and the demand for pilots will skyrocket in the next few years. This is not going to leave enough time for pilots to meet the new "qualifications" to fly for regional carriers. In turn this is going to make flying very expensive for the general public because they wont have enough pilots to meet all the flights they have the demand for, forcing them to use the pilots they have as much as possible, which completely battles all the fatigue everyone is trying to fix. I completely agree that safety should be a huge priority, but requiring 1500 hours is not a practical way to do it. Who is going to want to bother becoming an airline pilot anymore? Flight training is hugely expensive, and takes a long time, and by the time a student gets their private, instrument, commercial, multi-engine, at a part 141 school, they are lucky to have 250 hours, and then what? 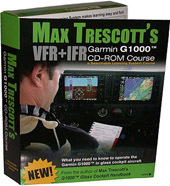 Get your CFI and teach VFR all day? How does that help a pilot in a situation like the one in Buffalo? I think what they need to focus on is revamping the training, beginning with the private pilot, and have more focus on emergency procedures. When I got my private, what were the emergency procedures? Simulated engine failure, set up the emergency landing and call for help. That is not a whole lot. Basically they just tell you to memorize the check list. They should put more focus on emergencies from the beginning, and then down the road, pilots are better able to deal with it. I cant really help but feel that the representatives who wrote this bill just don't have a clue what they are talking about. They want the airlines to be safe for people to fly, but the way they think it should be done is completely ridiculous. Not to mention, that the airlines ARE safe, and I never have any doubt about that when I step onto a plane. And I never doubt that the pilots who are flying it are even close to being incompetent, whether its their first day on the job flying a CRJ, or he has 20,000 hours and has been flying for years. I think that the part of this bill addressing all the rules about recurrent training is positive. Airlines should take this responsibility by their own, but if they're not willing to do so, it's good if it's required by law. About the minimum of 1500 hours: I can only agree with a lot of people here that the amount of hours does not count, but the quality of these hours and the quality of the initial training. I don't hear anyone talking about these bill v.s. the development of the MPL (multi pilot license) that's going on in some countries right now. I don't know about the status of MPL in the USA, anyone? There was a study recently - unfortunately I didn't bookmark my reference - which went over aviation accidents caused by pilot error and plotted them by pilot hours. If I recall correctly, the two peaks in the graph were new pilots and very experienced pilots. Over-confidence was listed as a prime suspect for the latter peak. I'll see if I can find it, my memory is a bit hazy. Max, good story. As a former regional airline Captain, I can tell you that having the ATP will prove nothing. What is the old saw? You can have a thousand hours of experience or experience the same hour a thousand times. Flight instructing as time builders do it will definitely be the latter. What the FAA really needs to look at is the training programs and checking skills in the regional airline departments. I've flown with First Officers that had obviously been given a "gift" by their checkairmen, leaving me with the coal in my stocking! Training is the answer, not requiring an ATP to apply. 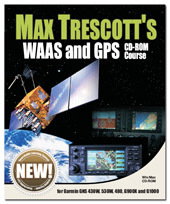 Matt's comment concerning 91/135 ops wrt marginal equipment is right on the money. On the other hand, the experience gained flying single pilot IFR in nearly worn out freighters builds rock solid judgment and airmanship... Provided of course one survives, or more realistically stays in the game long enough. The ATP requirement likewise would make sense, but with a caveat to require not just 75 hours of instrument, but a couple hundred hours of actual. Of course, as other have mentioned, such would create a pilot shortage, which likely would have the effect of improving pay and duty times as well. The big question then becomes is whether folks are willing to pay or not.